The majestic lake front condos in Branson are some of the best accommodations offered by Thousand Hills Golf Resort which are beautifully located in the heart of Branson where everything from entertainment to great shopping is accessible and convenient for every guest. 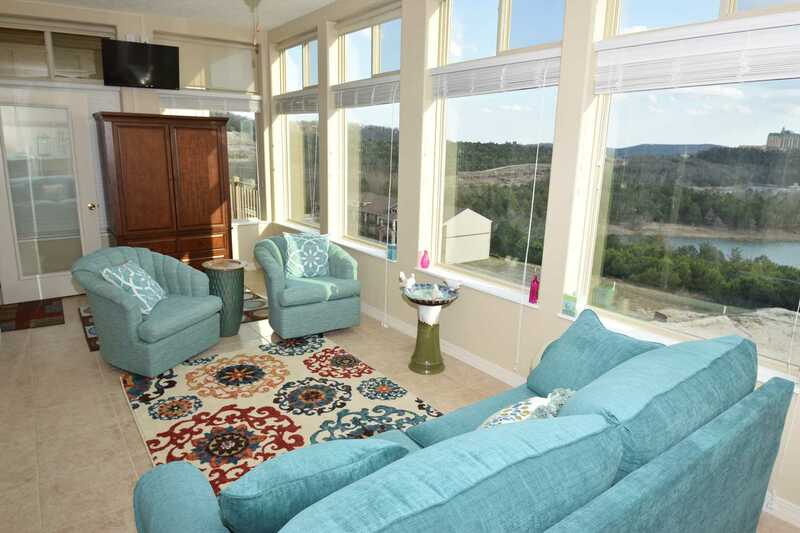 Staying at these luxurious condos in Branson is just perfect for people who want to enjoy their vacation as they offer easy accessibility to area attractions like the Table Rock Dam, Moonshine Beach, State Park Marian and the popular Corps of Engineers park. The great location of the condos is just seven miles to the famous 76 Music Boulevard. Thousand Hills lake front condos are beautifully designed with modern amenities and unique decors. Each bedroom is provided with top quality pillows and triple sheet beddings. The living area of each condo is equipped with flat screen TV with HBO, free wireless internet access, and a DVD player. The condos are also provided with a sofa sleeper giving a comfortable stay for extra guest. Each condo is fully equipped with fine granite countertops and modern appliances such as fridge, microwave oven, washer/dryer, pots and pans, dishes, and kitchen wares and utensils. With the convenience and ease that you can enjoy in a fully equipped condo, it’s always a breeze to cook your favorite food. These lake front condos in Branson offer every guest a chance to enjoy the beauty of nature that surrounds the area along with a magnificent view of the Ozark Mountain. You will enjoy more of your time if you take a stroll along the lakeside of Table Rock Lake, one of the cleanest and most pristine lakes in the country. To enjoy a wholesome fun and excitement, you can take advantage of the dock facility near your condo accommodations. You can also launch your boat at State Park Marina and keep it overnight. While enjoying your stay in a condo, you may want to take the opportunity to explore many possibilities and attractions that you want to enjoy around Branson. As this favorite vacation destination in the Midwest is nestled near the Tri-Lakes area, it’s easy for you to enjoy many exciting activities and other great water adventures. It will be accessible for you to take a wild roller coaster ride at Silver Dollar City, enjoy a boating adventure in a serene lake, or play golf at Thousand Hills Golf Course. As you try all of them, they’re sure to stimulate and energize your day. Since many of Branson visitors always include in their vacation itineraries shopping and dining, Branson has got you covered for all your shopping and dining needs. If you are one of the shopping enthusiasts visiting Branson, be thrilled with Branson Landing as it’s in this place where you can find many retail outlets. This great shopping destination in Branson also features dining venues and many other specialty restaurants that offer fine dining and other exotic treats. So, if you want to enjoy a wonderful vacation in the Ozarks, stay at the majestic lake front condos in Branson.